The author believes that Gully Boy will bring about a musical revolution in mainstream cinema just like how Rang de Basanti did at the time of its release. While I'm not sure how many still listen to entire music albums at a stretch, it is safe to assume that for those who do, the first song is an important one. It not only sets the tone for the album, but also fixes your expectation levels, especially when the album has 18 songs. So when Ranveer Singh, in the lyrics and music of Spitfire, promises to make India meet the Asli Hip Hop in the first song of Gully Boy, you're hooked. It's fitting that it is followed by the song that brought mainstream attention to the underground Hip Hop scene in the business capital of India. And when you hear the familiar 'Arre apun kuchh karte hain na Yaar apne public ke liye', and even though Ranveer does a decent job with his singing, the impression of the original Mere Gully Mein looms large. The Doori poem written by Javed Akthar and rendered by Ranveer Singh has a strong undercurrent of love and longing, and takes you to the Lootera universe. However, the hip hop version that follows brings you right back to the Gully as the lyrics take a different shape with Ranveer questioning the ugly economic disparity in the country, which is most visible in Mumbai. But, Gully Boy is a quintessential Indian film, and we love a nice melange of genres in our music. The hip hop numbers are given a rest as Raghu Dixit and Karsh Kale sing the indie favourite Train song, with music by Karsh and the Midival Punditz. Raghu with his open-throated rustic voice stakes claim for the Train song to be the best non hip-hop track in Gully Boy. 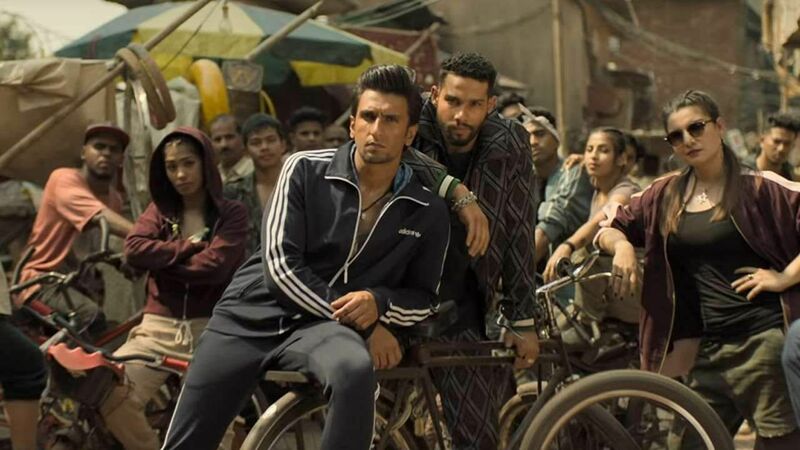 Gully Boy is a film that is inspired by the lives of rappers Divine and Naezy, and the former roars his entry in the album with Sher Aaya Sher. While I first thought it was a reworked version of his superhit Jungli Sher, this entirely new song is elevated by Major C's music. Remember the time I said the Train song could be the pick of the non hip-hop numbers in Gully Boy? Strike that, as the tag sits perfectly on Jahaan Tu Chala, sung and composed by Jasleen Royal. The soft lyrics by Aditya Sharma, the orchestration, and the hummable tune makes it the song which will surely have the most number of covers soon. Ever since Indians started protesting or expressing dissent about an existing political system, songs have always been a major weapon. And it hasn't changed even in 2019, as Dub Sharma, the voice behind the iconic Azaadi number, which questioned the status quo of a number of things begins his journey in the Gully Boy album with Jingostan, which comes in two versions — Song and Beatbox. The lyrics, which question the jingoistic nature of our patriotism, and various vile things that gets pushed under the rug in the name of patriotism, are sure to ruffle a lot of feathers. With Dub Sharma in an album filled with hip hop numbers, there was no chance Azaadi wouldn't find a place in Gully Boy. But does the intensity of the original get translated into this version? Definitely not, especially when the lyrics are clearly subject to a number of filters. It doesn't mean this Azaadi isn't intense, just that it isn't intense enough. If even the filtered version feels powerful, then you can understand the power of Dub Sharma's words, and it also makes you kind of understand why the original wasn't used. We return to melodies with Kab Se Kab Tak, an interesting mix of melody and rap, and Ranveer returns behind the mic, and by this time I warmed up to the rawness in his voice. There is definite excitement noting that Kaam Bhaari shares lyric credits with Ankur Tewari, who has composed this compelling number. The inimitable Kaam Bhaari gets an opportunity to showcase his rapping abilities in the song, which takes off after his name. For ones who are not aware of who Kaam Bhaari is, Gully Boy is sure to open the door into the world of one of the best underground rappers in Mumbai. Matlab bana ab jeene mein"
The writing is clear... Ranveer ka time aa gaya. Giving close competition to Jasleen's Jahaan Tu Chala is Ankur Tewari's Jeene Mein Aaye Maza. And true to its title, there is a lot of maza listening to the song, which oozes of an old world charm and takes you on a wonderful trip. The smattering of middle-eastern percussion beats, especially, accentuates this Mikey McCleary-Ankur composition. Ace-Ishq Bector's Har Gham Mein Khushi Hai is probably the best-produced rap song of the album. And just like most of the other rap songs in Gully Boy talks about how the rise to the top was not exactly a lonely ride since the musicians had the blessings of their mother, and how family comes first before everything. Goriye, composed by Prem and Hardeep definitely puts you off track. This revamped version of Ni Ek Tere Nain Goriye is definitely a good listen, but I'm not sure what it is doing in the Gully Boy album. It sticks out, yes, but not like a sore thumb. Viveick Rajagopalan's India 91 with raps by MC Altaf, 100 RBH, MC TodFod, Noxious D and Maharya is probably the best way to end this album. A showcase of everything that is India, and more importantly Mumbai. A perfect mix of tradition and modernity. Somehow after finishing listening to the Gully Boy album, I got reminded of Rang De Basanti (2006). Thirteen years since its release, the impact of Rang De Basanti is still being felt across the nation in some form or the other. It was a revolution, and I believe Gully Boy will create one too.